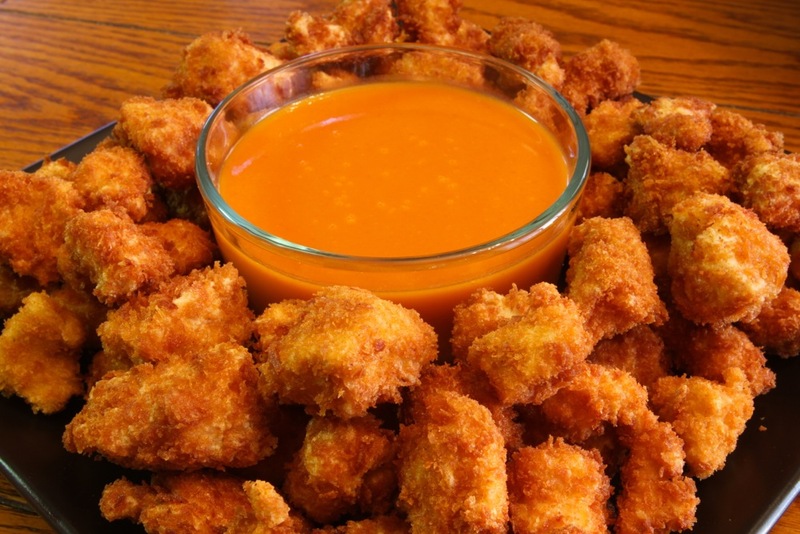 Crispy bite-sized boneless chicken with a buffalo-style dipping sauce… Yum! The key here is to buy good chicken, which is easier said than done these days. Luckily, a market near us sells Miller’s Amish Country Chicken, which is organic, free-range, antibiotic-free, vegetable-fed chicken with no additives. For the sauce, just stir together the Frank’s Red Hot Sauce and the melted butter, then serve!